44 chapters, 410 pages, including 122 pages with full-color illustrations by Nina Khalova. This is the Kindle version of the pre-first edition, advance reading copy. Written by Ruth Agle. Order from Amazon. 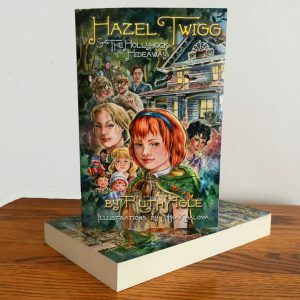 Hazel Twigg is a little girl with no known relatives other than her overprotective mother, who never lets Hazel out of her sight. 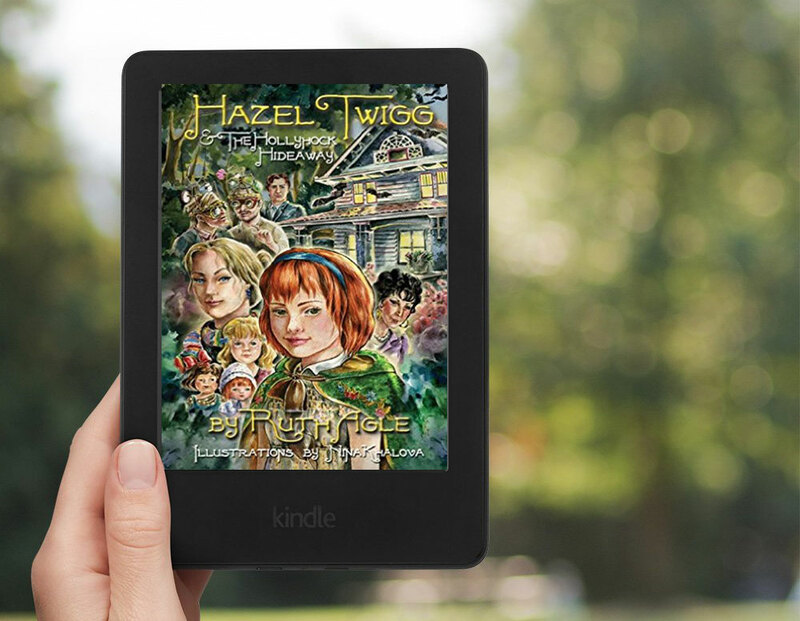 One day, out of the blue, two things happen to Hazel that have never happened before: her mother not only lets her out of her sight, but she puts her on a train to an unknown destination to meet a relative. A relative! From the moment Hazel meets Aunt Ruth, strange things start to happen. 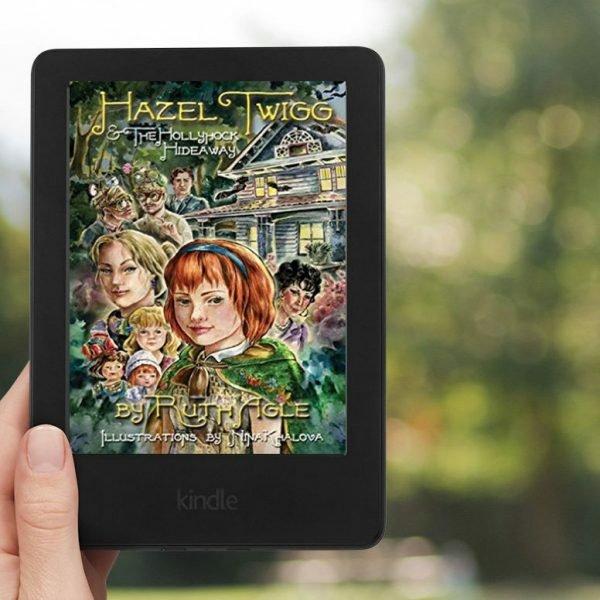 Hazel finds herself pulled into a world of magic, where old dolls come to life, and sinister forces use every means in their power to remove Hazel from the Hollyhock Hideaway and to stop Hazel from achieving her destiny as the last Holder in the Hollyhock line.